A 100 days after our region began to witness disturbing developments in early July, now is an opportune time to take stock of the water that has passed under the bridge in these eventful days. Beginning with heightened level of protests for freedom in Indian Occupied Kashmir since early July; Uri attack in Indian Occupied Kashmir; rise in Indo-Pak tensions with Indian claims of surgical strikes across the Line of Control and Islamabad’s categorical denial backed by United Nations Military Observer Group in India and Pakistan (UNMOGIP); and then the postponement of SAARC Summit. Things have happened at a fast forward pace. The 100-day conundrum raised questions for all including politicians and officials ; the media hawks clamoring for their talk show ratings; the war mongers whose sole claim to patriotism is battle slogans and (luckily also) for the rational analysts skilled in sifting the established and verifiable facts from a flood of speculation, conjecture and unproven allegations. It is this latter group that one must listen and relate to. Given the expanse of the subject and the constraints of space inherent in op-ed columns, I can comment only on a few aspects of these developments. One observation that no one can miss is that all of these developments either took place in the disputed territory of Jammu and Kashmir or were a direct consequence of what was happening over there. That is an important pointer for any analysis to be made in its proper context. Things in the Indian Occupied Kashmir that witnessed a steep escalation became a source of concern around the world. ON July 21st, the New York Times called the situation there “a state of siege under a strict curfew with access to basic communication… cut off by the authorities”. Commenting on “overwhelmed” hospitals there, the daily reported that “more than 100, mostly young, are threatened with blindness by pellets lodged in their eyes”. The newspaper described Indian Security Forces’ high handedness as “a culture of brutal disdain for the local population”. The gravity of the situation speaks for itself, leaving no room for me to stress any more the need to uphold—at least—the bare minimum standards of human rights and dignity. The count of human losses and tragedies continues. As late as on October 4th, the UN High Commissioner for Human Rights raised his serious concerns over the situation there. Then came the Uri attack in the Indian Occupied Kashmir. At the global scene, the attack served to dilute the international attention on the plight of Kashmiri people and that too at an important time, just before the annual stock taking of global happenings by world leaders at the UN Headquarters in New York. The next casualty was the 19th SAARC Summit which was slated for next month and where the apex leadership of SAARC was to propel regional integration processes for the economic development and uplift of their people. This postponement requires a context for a proper assessment of its impact. Despite being bestowed with unmatched natural and human resources, sadly, South Asia remains home to world’s largest chunks of people living under the poverty line. South Asians living without the minimum acceptable standards of food, health and education heavily out-number the populations of all the 28 EU member countries. This region also has the unenviable distinction of being the least integrated region of the world. Development economists cite our region to support their argument that in modern times, regional integration is not just a recipe for the economic woes, but it also is a pre-requisite for the uplift of the regions. Putting two and two together, it is not hard to see that the way to economic uplift of the region, which is home to a quarter of the world population, lies in facilitating SAARC that was founded precisely for the same objectives. Poverty and misery has been taking a toll at people of this region generation after generation. Regrettably all this happens in a region that is infinitely blessed with natural endowments. 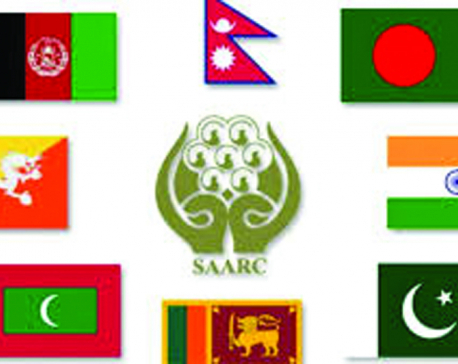 In its essence, postponement of SAARC Summit was a mixing of the regional economic agenda with bilateral problems: an approach categorically and effectively rejected by all successful models of regional cooperation in the contemporary world, for instance in the European Union and ASEAN. Both succeeded despite differences among individual member states. The formula was simple: not to make regional cooperation contingent on bilateral issues. That holds true not only for regional cooperation but also for bilateral dialogue processes that are instruments designed for resolution of differences and disputes. It is because of this rationale that Pakistan has been supporting the continuation of regional cooperation and dialogue processes on all issues. To be successful in achieving long term and sustainable peace and development, such processes should be all-encompassing, endeavoring to address all issues including the outstanding disputes. As a young student at the School of Diplomacy quarter of a century ago, I was taught that diplomacy is the art of keeping the dialogue avenues open. That, we were taught, resolves problems and avoids new ones, leading to sustainable peace and prosperity. I wonder how recent events would be interpreted in the history of diplomacy.